An outstanding finale… that was the movie the Batman trilogy deserved, but not the one it got- so I’m about to berate Christopher Nolan, because he can take it. DKR tried really hard to be a grandiose action epic, but it wasn’t- it was an ensemble crime drama. Calling that film “The Dark Knight Rises” seems like a misnomer… “Gotham Rises” would be far more accurate. Nolan realized it would have been crazy to try and out-do Dark Knight, so he took this film in a different direction. Unfortunately, in the process of doing that, Batman himself was thrown to the wayside. Let’s start evaluating the ins and outs, shall we? Does it Fulfill the Criteria for a Great Action Film? Let’s see if DKR fit the bill. 1. Does it have a strong premise? This is the finale of a trilogy and one of the most popular superheroes in the world, there is clearly a strong premise to continue- a rich guy uses his resources to fight injustice. Solid. 2. Does it have strong protagonists/ interesting supporting characters? We’ve already established the main characters, the only difference is that eight years have passed by. 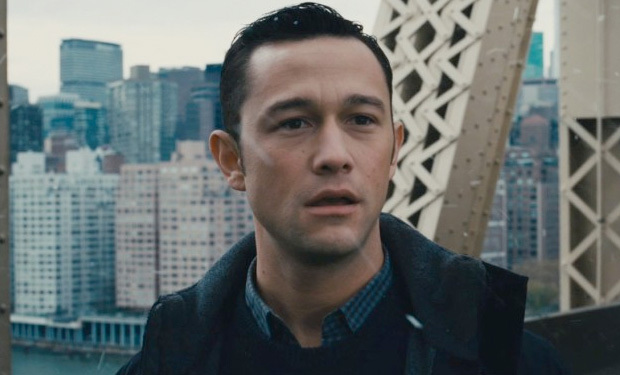 Joseph Gordon-Levitt brought life to John Blake, although his character was pretty one-dimensional. I would have liked to have seen more inner conflict from a character emulating Bruce Wayne. I felt Miranda Tate didn’t have enough screen time to shine, but that could have been the nature of her character. Jean Cotillard did what she could, but she was definitely miscast. However, none of that could overshadow the solidarity that Bale, Oldman, Freeman, and Caine bring to the series. 3. Are there strong antagonists? Selina Kyle: Anne Hathaway was great! She was edgy and absolutely stunning! What impressed me the most was how different Hathaway was from the legendary portrayal from Michelle Pfieffer, yet true to the archetype Catwoman. Pfieffer was all about revenge, but Hathaway has a Robin Hood-esque sense of justice. I really have nothing but good things to say about Selina Kyle. Bane: Tom Hardy did a worthy job with Bane, granted he didn’t exactly have the highest of bars to pass. Instead of playing the subservient behemoth we saw in Batman and Robin (let’s try and forget about that one), we saw a menacing man who cut his ties with the League of Shadows. I really enjoyed Bane’s interactions with Batman. Bane was the first physically imposing enemy Christian Bale’s Batman had to overcome: the perfect mix of intimating words with brute force. 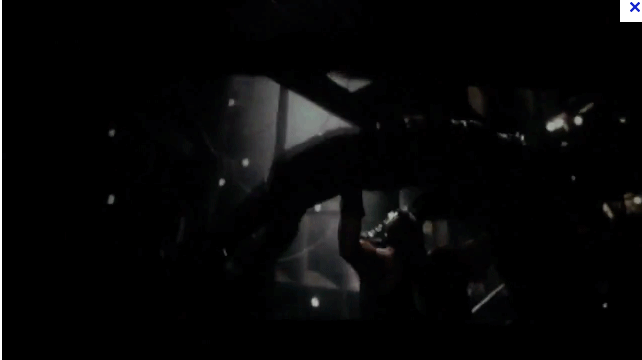 When Bane first fought Batman, the choreography was excellent and there was an homage to the comic books series. Hmm, let’s make the most iconic image too dark to see! 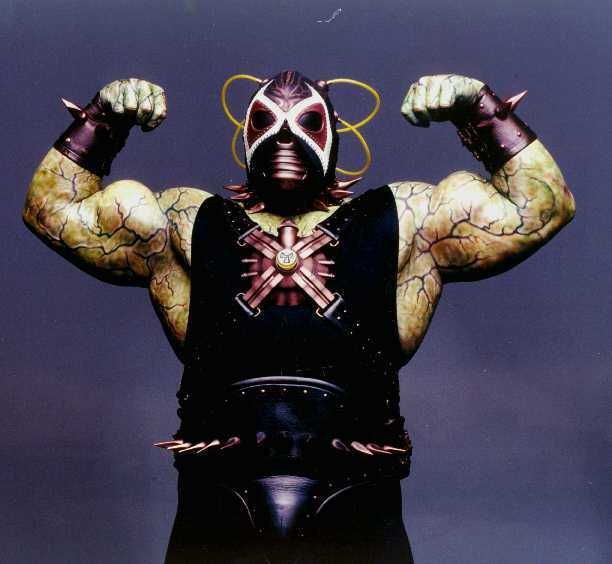 Bane was involved in almost every great scene in this movie, so his impact can’t be understated. 4. Is the screen time well-balanced? This is all in the eyes of the beholder. Good movies can flourish with limited screen time for main characters (i.e. Hannibal Lector in Silence of the Lambs) and supporting characters driving the plot (i.e. Anton Chigurh in No Country for Old Men). Why? Because the characters are allotted the perfect amount of time to leave their impact on the movie. I did not feel this was the case in DKR. As I said earlier, DKR is essentially an ensemble film. This can work really well for superhero franchises that incorporate multiple leaders (i.e. 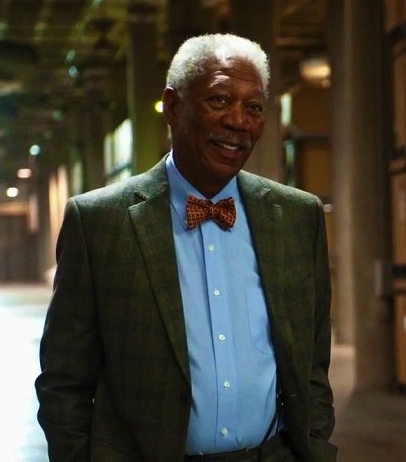 X-Men, the Avengers), but when last I checked, Batman only shares the spotlight with one other person- and it ain’t Lucius Fox. Supporting characters are only important because they interact and motivate the main characters. We may have some interest in what they’re up to while the main character works, but not at the expense of downgrading the main character. This would have worked had Batman’s few scenes been more hard-hitting, but more on that later. 5. Are there any memorable quotes? Once again, DKR had a high bar to meet after Dark Knight. Instead of trying to outdo it’s predecessor it… dropped Michael Caine?! Yeah, that happened. He just up and leaves for a good 2/3’s of the movie and we don’t hear from him till the very end. Oh well. As I said before, Bane had the best lines when he was interacting with Batman. Will he be quoted like the Joker? No way. Still, there are some good one-liners like “Victory has defeated you!” and “When Gotham is ashes, you have my permission to die.” It had its moments, but not a very quotable film. 6. Are there any memorable action sequences? This is where DKR came up way short. When I heard about Nolan shooting all these crazy scenes in IMAX, I was thinking “Even if it’s not as good as Dark Knight or Batman Begins, at least the visuals will be fun to watch.” After the amazing opening scene where Bane executes an inflight airborne heist, the movie stunts are all downhill. The only other standout scenes to me are: the first brawl between Batman and Bane, Gordon escaping Bane’s clutches, and Selina Kyle’s early hostage robbery. Wait a second, I just left out the whole climax!! Yeah, well so did they. The flying Bat was underutilized. Most of the combat sequences were shaky and frankly, pretty mediocre. I liked that the League of Shadows used Batman’s vehicles against him I guess, but there was just something missing in that sequence. I’m really surprised Nolan was satisfied with disarming a nuclear bomb for the climax of a series characterized by originality. I’ve never said this about a movie, but DKR suffered from a lack of cool action scenes. It’s been said that music is 60% of the emotion behind a movie. Well, that’s why Nolan brought in the great Hans Zimmer- give him a brass section and he’ll inspire you enough to lift a firetruck! 8. Is the plot logic sound? You can find plot holes in almost any movie. Maybe the unlikelihood of some crazy coincidence is just too much or the science behind some stunt doesn’t add up. Maybe there’s an inconsistency in the dialogue or incoherent editing. That said, you should accept a fantasy scenario whose logic is established in the confines of the movie (i.e. 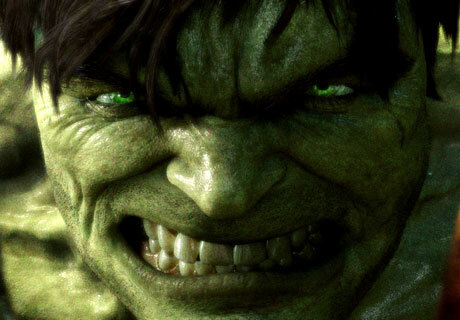 Bruce Banner can turn into the Hulk) but not a logical fallacy (i.e. Bruce Banner’s pants never fall off). Giant green monster? Plausible. High-tech pants? That’s just stupid. 1. The young police officer John Blake figured out that Bruce Wayne is Batman when police investigators couldn’t discover this after years of extensive searching. 2. The US Army became locked in a five-month stalemate outside Gotham and didn’t attack because of a sheer threat. 3. Bane left Gotham during his major operation, took Bruce Wayne to the desert prison on the other side of the world, and waited for him to regain consciousness before returning. That doesn’t bother me as much as the travel implications and the supposed “containment” of Gotham, don’t leave us in the dark! 4. You want to talk about being left in the dark? Bruce Wayne accomplishes an inhuman amount of feats in the course of a few hours… and we don’t even see how he pulls it off. How did he have time to travel back to Gotham, sneak through the contained area, set up everything (setting up a gigantic Bat symbol, leaving Blake coordinates to the Bat Cave, leaving Selina the necklace), stock up at the Bat Cave, be the heroic fighter, and still have time to fix the Bat controls and escape from the nuclear explosion? I mean, he’s Batman, I guess… I just thought this was inconsistent with the depth of realism and explanations we saw in the first two films. We love to be surprised when Batman disappears because we have to use our imaginations to guess how he did that. However, this was never pulled on the audience for significant plot points, especially the climax. Show the audience how Batman set everything up for the final battle. In fact, turn that sequence into an ensemble scene. Lucius Fox is asked to debilitate Scarecrow and evacuate Miranda Tate- he can use his psychology on Scarecrow and the “jury” (like how he used reverse psychology in Dark Knight against the blackmailer) to convince them Scarecrow shouldn’t have jurisdiction and they shouldn’t have to listen to Bane’s word. Meanwhile, Gordon is sent to the bomb chamber and keeps in contact with Bruce Wayne by walkie talkie. Bruce needs Gordon to manually activate some chamber controls (mirroring when Gordon struggled to drive the bat mobile in Batman Begins) to extend the timer on the bomb. Bruce Wayne has to do the one thing he hates the most- negotiate with injustice. 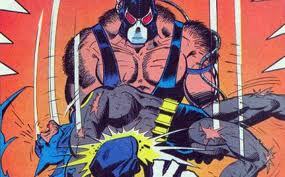 Having just been handed over to Bane by Selina Kyle, he can’t trust her, but he knows he can’t take out Bane without her. They have a huge clash of ideologies but Wayne is able to convey to her what he learned from Rachel about “defining himself through his actions,” gaining her trust. Blake is asked to stand down from a perfect ambush on Bane’s henchmen and instead go fetch supplies for Bruce Wayne at “some special coordinates.” That would explain how it seems like Batman can be at two places at once. Whoa. Later on, Bruce is stabbed by Talia al Ghul (a strong twist, props to Nolan). The biggest surprise of the movie can be followed by another big surprise: after Talia tells her story and orders Bane not to kill Batman, we hear a trigger. Talia looks around to see another Batman holding a gun to her head. The identity of this Batman could be left ambiguous (Blake or a long-waiting Batman vigilante like in Dark Knight). While Talia is confused, Bruce Wayne tells the Batman not to kill Talia. The Batman doesn’t state the obvious “She just stabbed you,” instead opting for “You killed Dent.” This could imply some shelved animosity towards the real Batman’s long disappearance or just lack of empathy in the heat of the moment. Bruce Wayne gives a raspy “No!” before Selina Kyle storms in and kills Bane (Talia escapes), showing the emptiness of killing. This transfers Wayne’s philosophy to the next generation as we see the phantom Batman unload the gun later and heave it off a bridge. We confirm that the Batman was Blake. He learns from Bruce Wayne/Batman that fighting evil as a caped crusader won’t lead to a fulfilling life or bring back his parents. Showing Blake the cave was never about him continuing the legacy- it was the only way Blake could learn that it wasn’t the right path. Blake will always admire the legacy of the Dark Knight, but realizes that another incorruptible crime fighter has always been there for Gotham: Commissioner Gordon. For all the criminals he stopped personally, Batman’s legacy was just as much about empowering the citizens of Gotham, to create legitimate justice. We would see the original ending montage minus Blake discovering the cave and leave it ambiguous when Alfred is at the cafe. DKR was not a bad movie, I was just a slave to my own sky-high expectations. It had some great acting and a good creative direction, but I just thought it wasn’t on par with its predecessors. That said, if you’re a diehard fan of the series, you’ll find things about it you love. I think people might see this as a standout film in the scheme of “everyman” hero stories- that was where it succeeded. DKR had all the parts to a great Batman movie, save one thing… Batman rising.